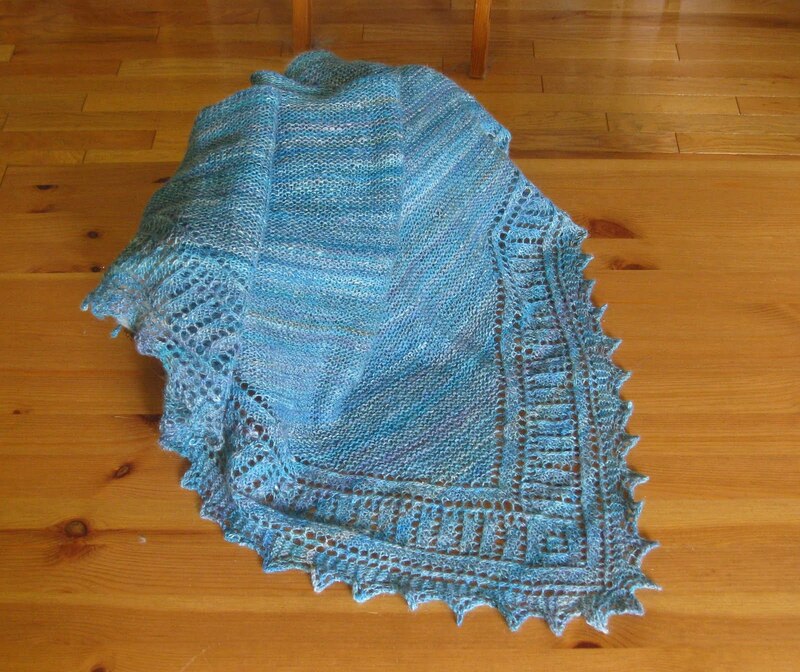 I finished blocking my Peacock shawl and love how it has turned out. I love the lace part and I love the garter stitch part! I finished it just in time as I've even had a chance to wear it twice this week. M had a couple of hockey practices at the rink that I didn't want to freeze at. wow, it's so pretty!! that looks so gorgeous and wearable.